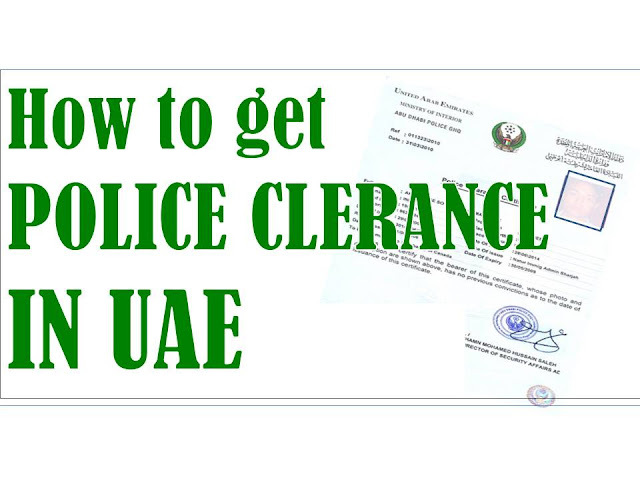 If you are an expat and you needed to secure police clearance in UAE, you may visit the the following police department in your area and apply personally. 1. You need to approach a typing centre and request them to type a request for Dubai Police Clearance Certificate in ARABIC. (Although the application comes in English, get them typed or written in Arabic). The fees for filling up the form is AED 110/-. If the person at the counter in the Police Station fills up the form, well and good. Do take 2 current photographs with white background. Take Emirates ID if you have one. Also carry original Passport. 2. Next you will need to visit the Dubai Police Head Quarters(DPHQ) near Al Mulla Plaza where they will scan your fingerprints and run them through the database. If you have Emirates ID, you will skip this step. 3. You will receive your clearance certificate within 2-3 working days. Timings to submit the application are from 7:30AM to 2:30PM. He also shared a video tutorial how you can obtain police clearance online. If you no longer reside in UAE you may ask someone to be your representative. He or she may apply at the police department on your behalf, however you may need a special power of attorney. Or you can apply at the nearest UAE Embassy in your country of residence. You may also visit the nearest UAE embassy in your country for more information. Disclaimer: the cost and procedure to process police clearance may change without notice.